The Torpedo C.A.B. 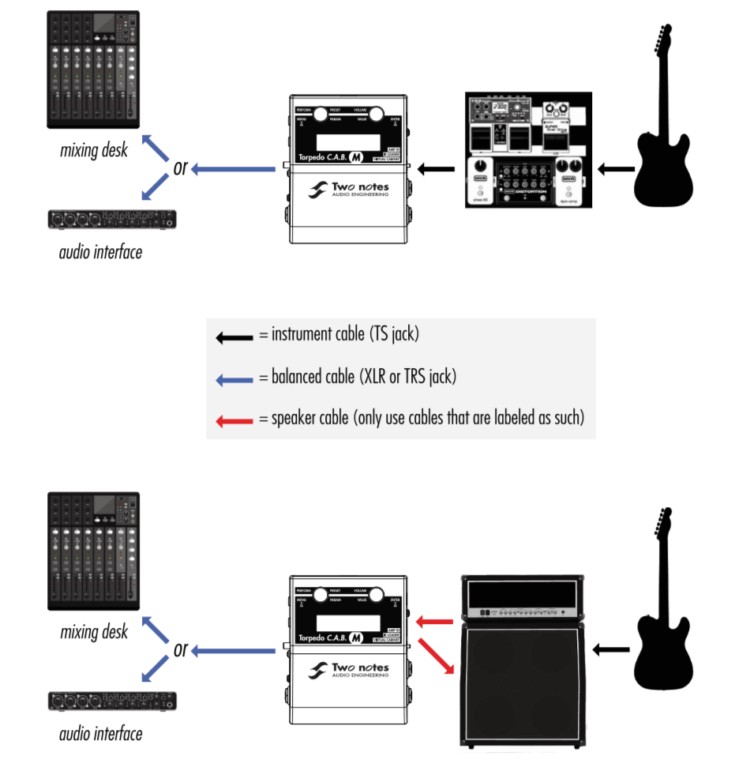 M («Cabinets in A Box») is the missing link between the guitarist’s rig and the PA or an audio interface. Use the best virtual cabinets available or load your own IR files. The Torpedo C.A.B. 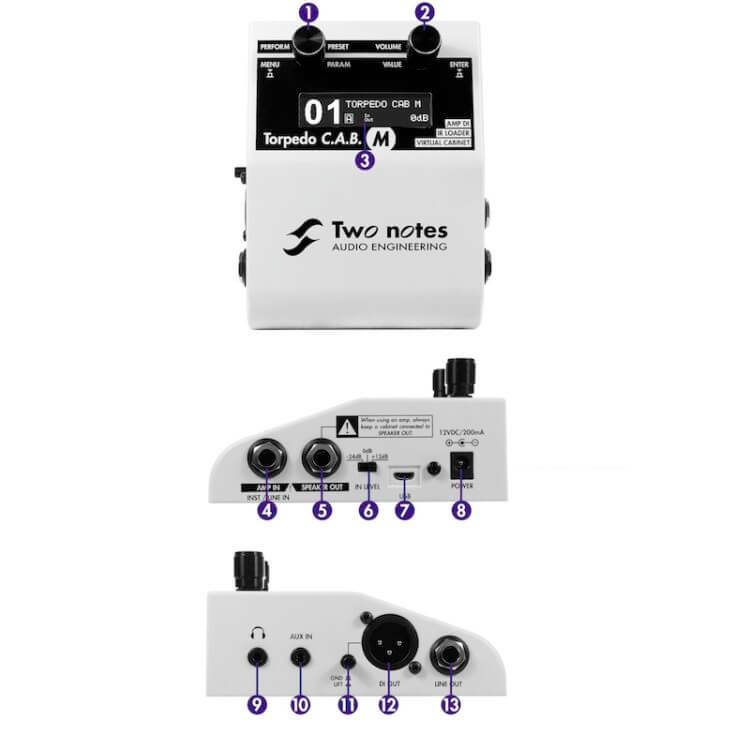 M finds its place on your pedalboard, after a preamp, among your usual stompboxes., or between between the amp and the speaker cabinet as an amp DI. 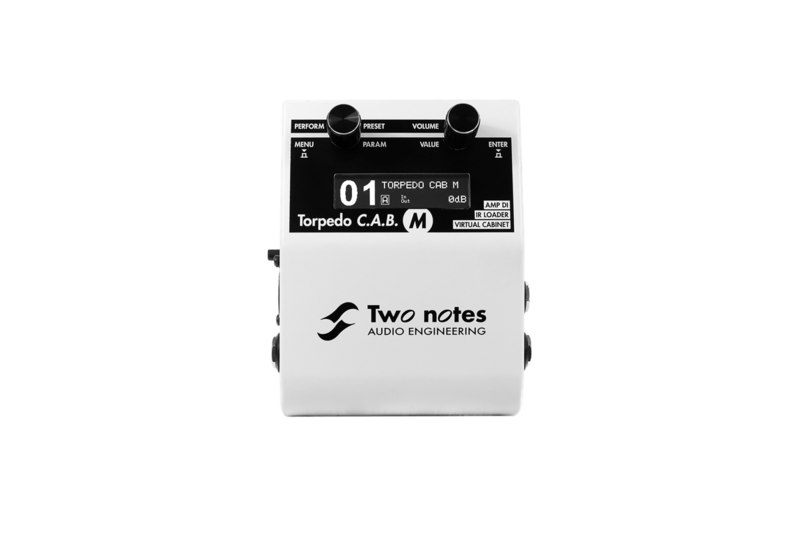 To create a lightweight rig with a pedalboard, place the Torpedo C.A.B. M on your pedalboard knowing that the best results are achieved by placing it before the time-based and modulation effects (chorus, delay, reverb…), which then become brighter and clearer. Because of this position, you can take advantage of the possible stereo of these effects. This is similar to the way things are done in the studio, where modulations are often applied to guitar and bass tracks after recording.